Despite its incredible natural beauty, Jervis Bay is often overlooked in the tourist’s guidebook. Unlike the more well known coastal locations throughout Australia, Jervis Bay is not a name as widely recognised. As locals, we can’t understand how it has not yet gained the fame of other destinations, but secretly we are glad it hasn’t! But, word is spreading, so you’d better hurry up and get here before the rest of the world realises what they’re missing! Here are just 3 reasons why Jervis Bay is one of Australia’s hidden gems. Within the protected waters of Jervis bay are some of the whitest sand beaches in the world. Hyams Beach has been named as the beach with the whitest sand in the world and it’s definitely worth a visit. 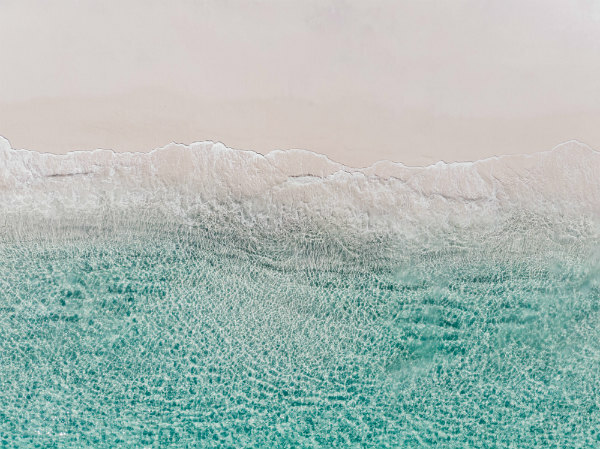 However, it does get crowded during peak periods, so you’re better off visiting one of the neighbouring Jervis Bay beaches which are just as beautiful with sand equally (well, to the naked eye) as white. Jervis Bay is home to a spectacular amount of wildlife. Whether hiking through one of our national parks or meeting some of the “locals” on our dolphin tours, it’s unlikely you’ll leave Jervis Bay without interacting with our abundant wildlife. Seals and bottlenose dolphins live year-round in Jervis Bay, while humpback whales pass through on their annual breeding migrations. It is a truly memorable experience to see these creatures in the wild. You may even be lucky enough to witness a mother feeding her calve in the calm waters of the bay. Huskisson is the heart of Jervis Bay. You’ll find a range of restaurants, cafes and bars, as well as boutique shopping and galleries. Huskisson also hosts many regular and annual events including monthly markets, Huskisson Carnival, Sand & Sea Festival and the Jervis Bay Marathon. View all 2018 Huskisson events. There are many more reasons that Jervis Bay is one of Australia’s hidden gems, but don’t just take our word for it! Come and see Jervis Bay for yourself! For an unforgettable experience, jump on board one of our whale watching tours, dolphin cruises or enquire about a private tour. Book your tickets today.